The image is the installation of new chillers at roof level as the final element of our fit-out to the Ervia offices on Foley Street. 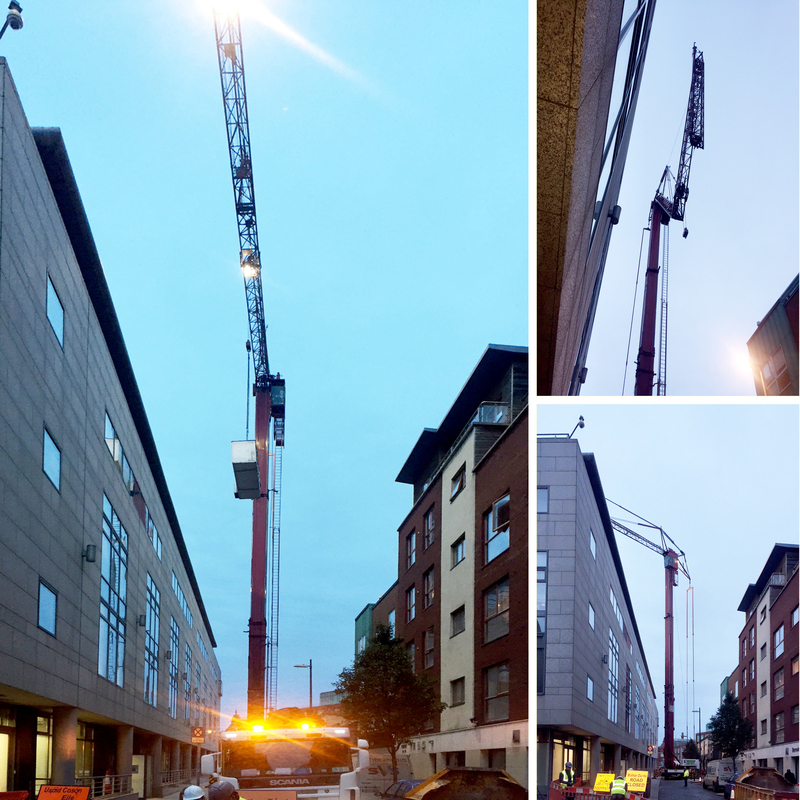 A temporary road closure was required to allow for the erection of the crane for the removal of four number existing and the installation of four new air handling units. The works commenced on Friday evening at 6pm and was complete for 4pm on Saturday with minimal disruption to the neighbours or traffic.